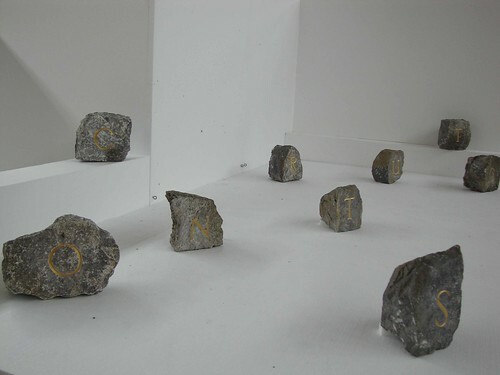 A series of installations created for Welcome to the Neighbourhood, Askeaton Contemporary Arts 2011. The word topochron is a semantic construct derived from the greek words topos (place) and chronos (time) and is used to describe ” a site that can contain multiple times”. 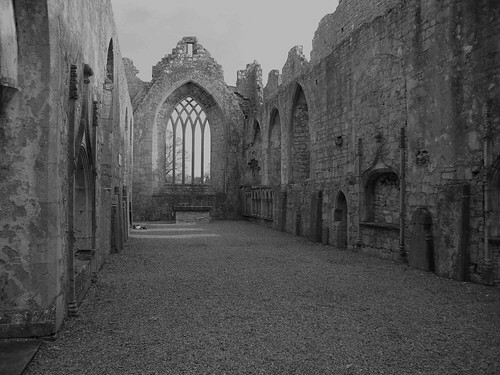 For this residency the first site was the old Franciscan Friary in Askeaton, a ruinous building on the banks of the River Deel. Immediately drawn to this building, less for the seductive spaces than for the contextual opportunities offered by the architecture, my engagement sought to explore the correlation between monument and folly, between the architecture and the ruins of intention, between what is created and what falls away. The friary was first built in 1389 as an architectural construct. It is simultanaeously a concrete statement of temporal power and of existential longing. The religious motivations which informed the architecture were themselves a construct. The past of the gospels which inspired the building, along with a sense of the eternal future to which it aspired, is still resonant within the present shattered space of the ruins. 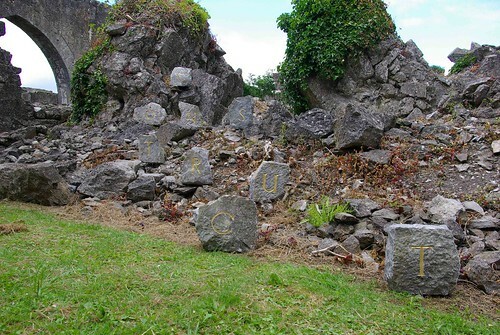 It seemed appropriate in this context to use stones that had fallen from other old masonry structures around the town and to employ the craft of stone cutting to realise the work. The interventions developed in the course of this residency did not seek to assert the failure of these constructs but rather to express the temporary nature of all certainties. 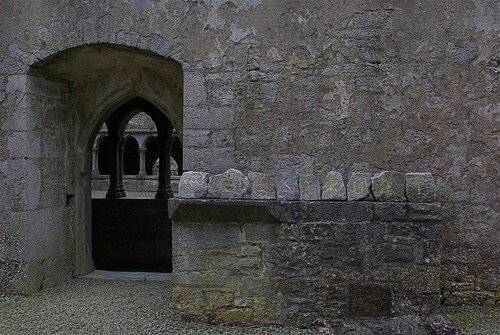 The cloister at Askeaton Friary is a remarkable space with its central, once grass-green, garth open to the sky, and the surrounding ambulatories, where the monks used walked their meditative rounds, shrouded in shadow. It is a contemplative space where the sense of longing for a time and condition other than this is palpable. In counterpoint to the strong stern forms of the claustral arches a carved styrofoam plinth was placed in the centre of the garth. On this was placed a bell made of cast glass. The ineffable cannot be expressed nor contained in any construct. Only the longing can be articulated. The third intervention took place in Askeaton Community Hall. 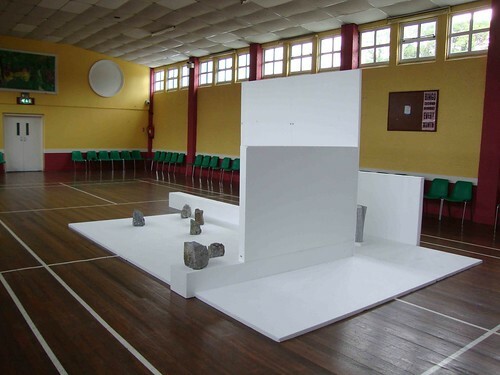 The initial intention was to construct a free-standing white cube of styrofoam panels within the hall and to project images of the Friary interventions upon its internal walls.This idea was itself deconstructed and the panels used to create an architectural space that echoed the open shell of the Friary ruins. 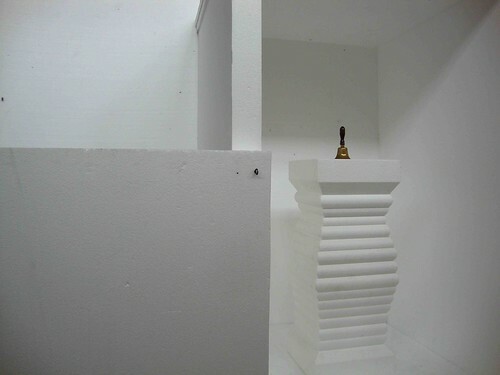 Placed within the alcoves of this construct were elements that echoed or referenced the interventions in the Friary. On a plinth identical to that in the friary’s cloister garth, was placed a small brass bell, the parent from which the garth’s glass bell was cast. 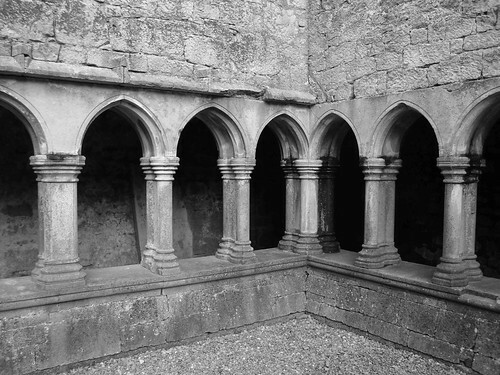 In another alcove was placed a carved limestone mullion similar to those from which the Friary’s window arches sprang. This architectural construct, contemporary in structure and material, also referenced the past and the future, while calling, through the invitation of the bell, for present engagement. 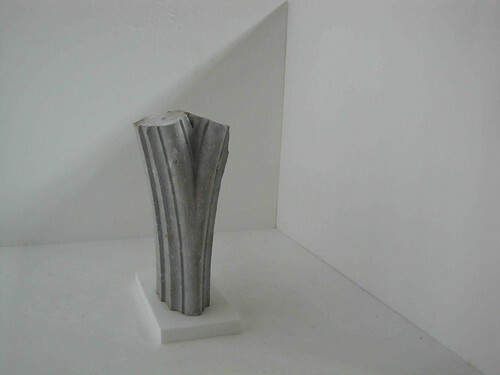 The interventions in Topochron all variously explored architectures in physical space while challenging the metaphysics or intentions which informed them. 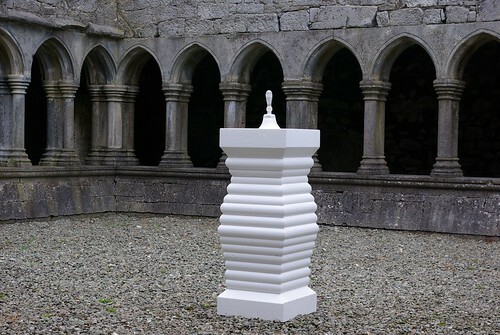 In the case of the Community Hall intervention the aesthetic constructs of the artist are as temporal and prey to ruin as those of the monks of Askeaton over six hundred years ago.